18. 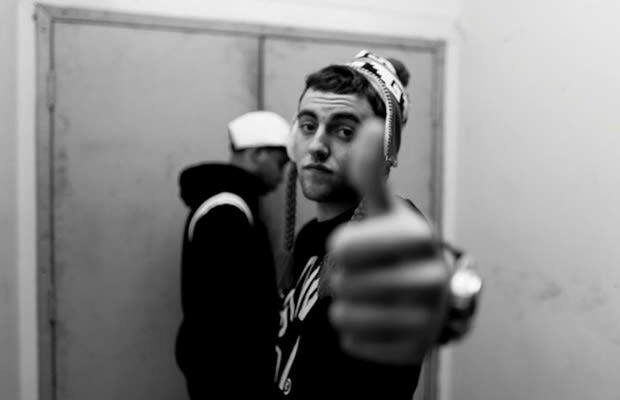 Mac Miller "Donald Trump"
Fact: Two negatives make a positive. Case in point: Mr. Miller, he of the grating, monotone voice and somewhat empty bars, name-drops America's most annoying old white guy and creates a hit of baffling magnitude. (The best part of the video, for us, was that brief glimpse of Statik Selectah dancing.) Said certified-gold single goes on to push the Pittsburgh kid from blog buzz to mainstream acclaim, setting the plate nicely for the release of Blue Slide Park, the first indie album to debut atop Billboard's albums chart since The Dogg Pound in 1995. "Hopefully, I'll be at the top soon" Mac raps on this one—talk about a self-fulfilling prophecy.